We are offering this great program as a 12 month Block of the Month using a collection of 30’s fabrics & 12 of the most popular blocks! You choose to make a 12" or 6" block (you get to choose the last 2 blocks). You will need to purchase (or already have) the Farm Girl Vintage Book, available at Pins & Needles. Then, each month, you will receive the precut block kit. There is also a $40 one-time registration fee (includes FABRIC for 12 blocks. 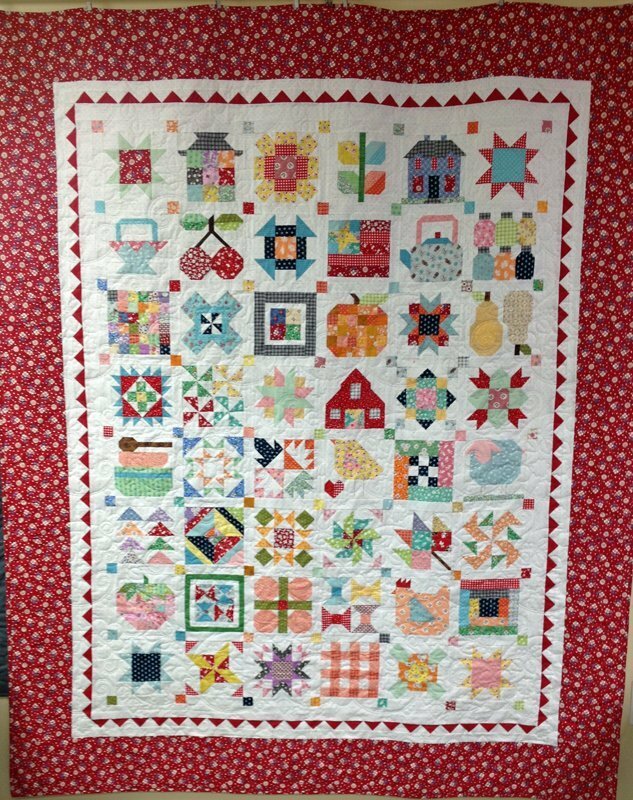 The final month we will be offering a finishing kit if you decide to make the quilt. We will also be hosting Farm Girl Tuesdays so you can come in and work on your Farm Girl blocks and projects here at the shop. Farm Girl Tuesdays will run from 10:30 to 1:30 the Second Tuesday of each month starting on February 12th. beverages while you are here!